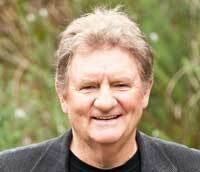 Courageous programming of two contrasting choral masterpieces paid off with a virtual sell-out at the first of three concerts at the Sydney Opera House, writes Fraser Beath McEwing. I’ll bet the Ausgrid Master Series programmers had a robust discussion about the wisdom of staging the Mozart Requiem in its lengthy entirety and then pairing it with something from the other end of the religious spectrum: Gloria by Francis Poulenc. “If we build it, will they come?” must have run through their minds and occasionally out of their mouths. Well, it worked – magnificently. Although out of chronological order, the Poulenc opened the program. Written by a clearly religious man, Poulenc’s Gloria was first heard in 1961, at a time when many composers were trying too be as weird as possible to be noticed. Poulenc, it seemed, was not seduced by fashion, opting to directly communicate his deeply felt religious beliefs in conventional musical language on several levels, not all of them deadly serious and none of them maudlin. In addition to a well-stocked SSO, Gloria called forth the mighty forces of the Sydney Philharmonia Choirs trained and directed by Brett Weymark (remember them from Beethoven’s ninth earlier in the year) and a solo soprano, Jennifer Welch-Babidge, who effortlessly projected her rich voice above the orchestra and choir. Gloria comes in six parts with various combinations of orchestra, soprano and choir. For sheer heartfelt beauty I liked the Domine Deus movement with soloist, orchestra and choir curling around each other like slowly rising smoke. 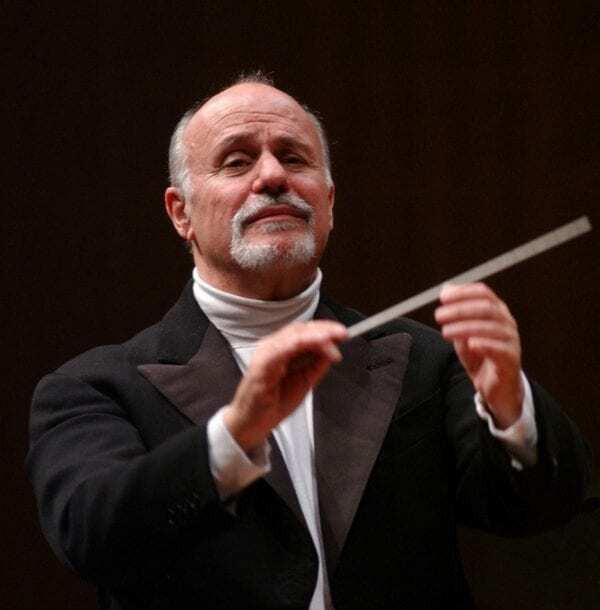 American guest conductor, David Zinman, seemed to revel in this work with its demanding passing moods, its surprises and its passionate singers – all to husband. There was a transformation during interval while the choir was outback greasing larynxes for the upcoming Mozart Requiem, as was Jennifer Welsh-Babidge, who was due back on stage for the second half. Into the sin-bin went flutes, oboes, horns and quite a few strings while out on to the field came basset horns and a trio of trombones. The opera house grand organ loaned one if its babies to the stage where an earnest organist played it throughout the requiem, but it would have taken a sharper ear than mine to pick it out of the orchestral sound-pack. Mozart’s Requiem went up in popularity when the movie ‘Amadeus’ was screened some years ago, but as a concert piece it takes courage to put it on the bill today. Its last entire performance in Australia was no less than 13 years ago. In some ways, this dramatic Latin mass to the dead is quite odd. 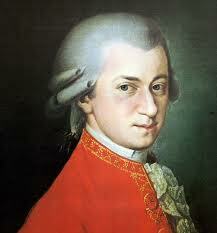 During its writing in 1791 Mozart was dealing with the final chapters of his father’s and his own lives. Death took Wolfgang before he could finish his requiem and his wife Constanze cast about for somebody to finish it; she needed the money. She finally came up with Franz Sussmayr, one of Mozart’s students. The work has always been under a cloud for that reason. Mozart got about two thirds the way through before he died in the midst of writing the ‘Lacrimosa’ which, for me, is the most beautiful movement; I suppose I was imagining Mozart’s last breath in there somewhere. The last six movements were constructed with the help of Mozart’s sketches and the libretto from which he was working, so nobody really knows how much was attributable to Sussmayr. No matter. It all began happening when maestro Zinman led his four soloists on to the stage: mezzo-soprano Fiona Campbell, tenor Paul McMahon, the returning Jennifer Welch-Babidge, and baritone Paul Whelan – without doubt the tallest singer I have ever seen, and probably the stand-out voice of the four in a close quest for excellence. And standing behind them, the immovable Sydney Philharmonia Choirs, whose singing I could still hear in my head as I walked down the steps after the concert. Once you allow yourself to become immersed in the Mozart Requiem it the music comes to you, its length seems to fold into itself and it is over all too soon. To try to unravel Mozart and Sussmayr in the latter part of the work is as futile as trying to unscramble an egg. The music is what it is: an awe-inspiring celebration of life, the grand sorrow of death, and the promise of an afterlife. while we are all having a good chat on choral splendors, I would like to hear Haydn’s “Seasons”, a most pleasing and quasi comprehensive compliment to Mozart’s works. 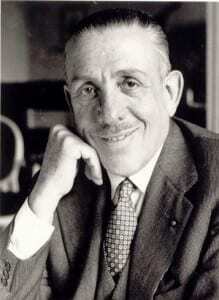 Incidentally, Poulenc’s melodic inspiratioon had so much of the post baroque, almost too strange for the 20th Century. SSO has done a purely splendid job. As a long-time member of Sydney Philharmonia Choirs (along with at least 6 other Jewish choristers), your positive (and speedy) review is much appreciated, and is now being happily circulated among the ranks. However, I would like to point out that we have performed Mozart’s Requiem on several occasions in recent years as part of our own subscription series, to much acclaim. Our Symphony Chorus performed it from memory at the Sydney Opera House about 4 years ago, and the Chamber Singers gave 5 performances at City Recital Hall prior to heading off to the BBC Proms Tour in July 2010. We also performed the Poulenc Gloria about 12 years ago, much more recently than the SSO outing 30 years ago! Thank you Alex and Clair for your corrections. I should have been more specific. As I understand it, the SSO has not performed the entire Mozart’s Requiem since 1999 – which is also mentioned in David Garrett’s program notes. I am pleased to see that such a fine work has had many other outings. I can imagine it being suitable for schools since it would involve a lot of participation by players and singers. Thank you for the excellent review! However, the last entire performance of the Mozart Requiem in this country actually wasn’t 13 years ago. It’s an incredibly popular concert choice. Sydney Philharmonia Choirs actually staged five performances of the Mozart as a stand-alone concert in June 2010; the Choir of Christchurch St Lawrence performed it last year, as did the Conservatorium High School and The Occasional Performing Sinfonia, to name a only couple of Sydney ensembles. There are hundreds of others across the country.